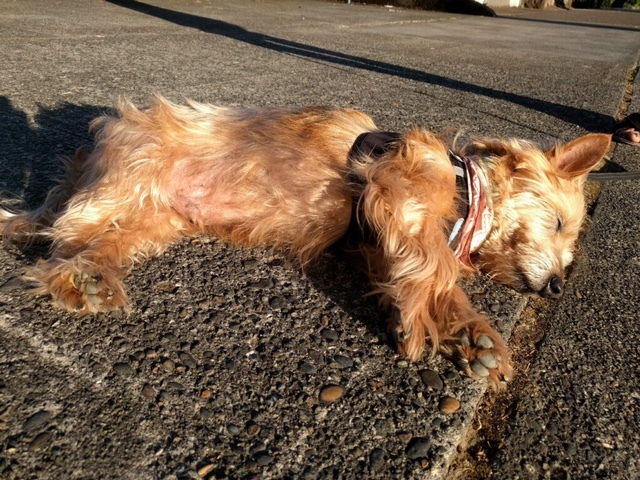 Is your perfect dog quiet, sweet, full of love, and the best darn cuddle partner around? Does he want to be by your side, on your lap, or in a dog bed very close to you? Have you been longing to have a dog who you can bring to work with you and who will simply sleep and occasionally look up at you with the sweetest face around? Then Conor is your boy. 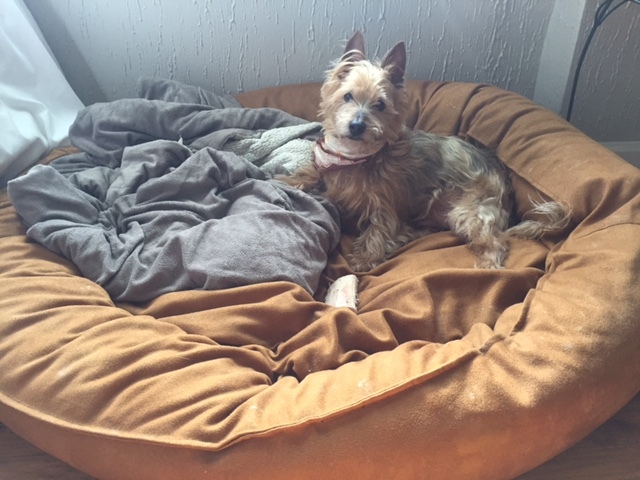 Conor is a nine year old Australian Silky Terrier. He loves tiny toys, calm walks, cuddling, a nice brushing, baths, and the occasional treat. He gets along with dogs, cats, kids, and everybody he meets, though he would do best in a calm, low traffic home, with somebody who can give him all the attention that he needs. Here’s the catch, and with somebody so perfect there is usually a catch. Conor was rescued from an extremely neglectful and abusive household. He is potty trained but otherwise knows no basic commands. Conor has separation anxiety and needs somebody with experience or the time and patience to help him adjust to a new living situation. If you are a stay-at-home worker or somebody who can bring Conor to work, this would be the perfect situation for him. He is not destructive but he does bark and cry when left alone, he is currently starting on anti-anxiety medication which he will most likely have to be on for the rest of his life. 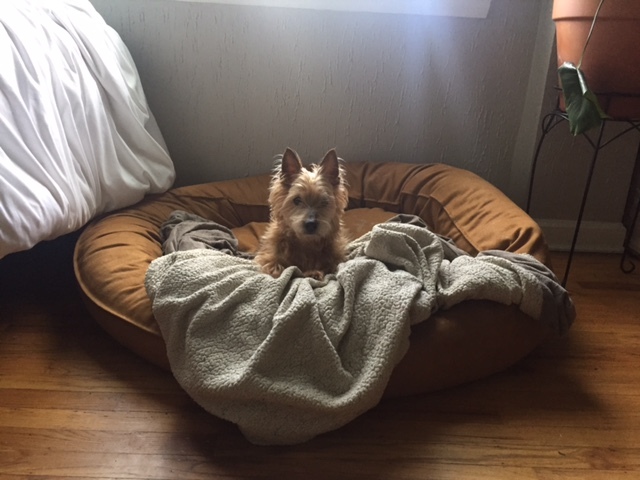 Conor also has a partially collapsed trachea, which just means that he cannot go for runs or get too excited, and he must never be on a collar. Which is fine, because he really doesn’t want to do any of those things. Conor has current vet records that show that he is a healthy boy with no underlying issues. He did recently have dental surgery where he had 21 teeth removed so he will do best eating soft, canned food. He comes with food, a bed, harness, a leash, a thunder-shirt, calming collar, anti-anxiety medication, Frontline, a brush, toys, and vet records from Lombard Animal Hospital (where he is currently being seen). Please contact Alex at “alexandramazing@gmail.com” if you are interested in meeting Conor. A house check will be necessary to adopt him. Please send a bit of information about yourself, where Conor will be during the day/night, any other pets in the house, etc. An adoption fee of $200 will be donated to the Pixie Project once he is adopted. Thank you for your interest.